Metlox Poppytrail "Dahlia Gold" Cup & Saucer. The Cup is 3 5/8" Wide and Holds 8 Oz. and the Saucer is 6" in Diameter and Coupe Shape. It is Oven, and Dishwasher Safe. It was made in California and is Hard-To-Come-By. 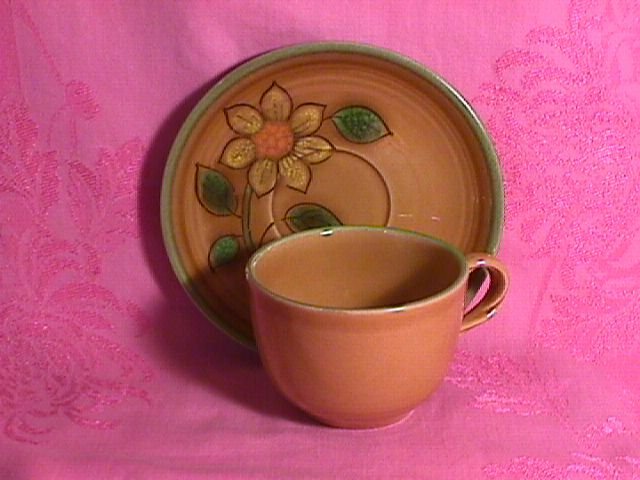 The Replacement value of this Cup & Saucer is $20.00. 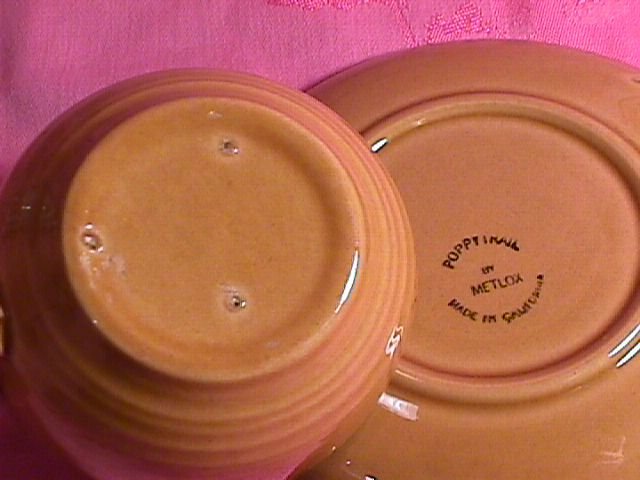 Items Similar To "Metlox Poppytrail "Dahlia Gold" Cup & Saucer"